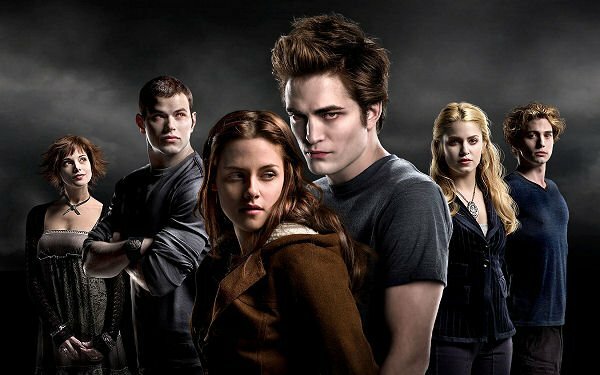 Despite what most of the under twenty crowd might have you believe, Twilight is probably not the “best. thing. ever.” The novels have been breaking records, and the fans are going crazy, but it’s still hard to see it as anything more than a weak soap opera for teenagers. Not that such a thing will stop it from taking in millions at the box office. Kristen Stewart stars as Bella, a social misfit who discovers a new, mysterious boy at her new school. Robert Pattinson plays Edward, said mystery boy, who is actually a vampire who doesn’t drink human blood. When the two of them find themselves falling in love, Edward has a tough time controlling his instincts, but far more trouble is in store for the duo when a clan of fresh vampires strolls into town. Based on critical reception, the film is unlikely to win any acting awards, or draw in many people who haven’t already read the books. There have even been complaints that the story has lost a lot in the translation to screen. Meyer’s novels are legitimate hits, whether most people like them or not, and there will be more films coming down the road, but it’s a fine example of how often vampire stories end up getting really cheesy treatments on screen. Bram Stoker’s Dracula stands out as one of the few compelling vampire movies that has been made in the last couple decades, and even it has its moments. As a fan of vampire films and stories I have to wonder when we will finally see a new vampire movie worth the price of admission, because Twilight seems like another drop in the bloody bucket. Special effects go a long way to making a hero, at least on television, but for the super-dog Bolt, it’s a hard to realize where those effects end and where he begins. So when Bolt is accidentally shipped from his Hollywood studio to the mean streets of New York City, Bolt has a hard time realizing that he may not be the hero he thought he was. Travelling with a cat named Mittens and Rhino the hamster, Bolt will try to make his way back to Hollywood, and find out how to be a real-life hero at the same time. First-time director Byron Howard leads this fun and fresh looking animated movie, with the voice talent of John Travolta as Bolt, and Miley Cyrus as Bolt’s owner, Penny. Most of the critics agree that Bolt will never make it into anyone’s collection as a classic, but it is getting good reviews.